Inneholder 24 stempler med hjerter og tekster og måler ca 15 x 20 cm (6" x 8"). Hjertestemplene kan kombineres eller brukes hver for seg. Se veiledning i Altenew Layering Guides eller følg direktelenken under. Tilhørende diesett Altenew All The Hearts Die Set kan kjøpes separat. Produsert i USA. 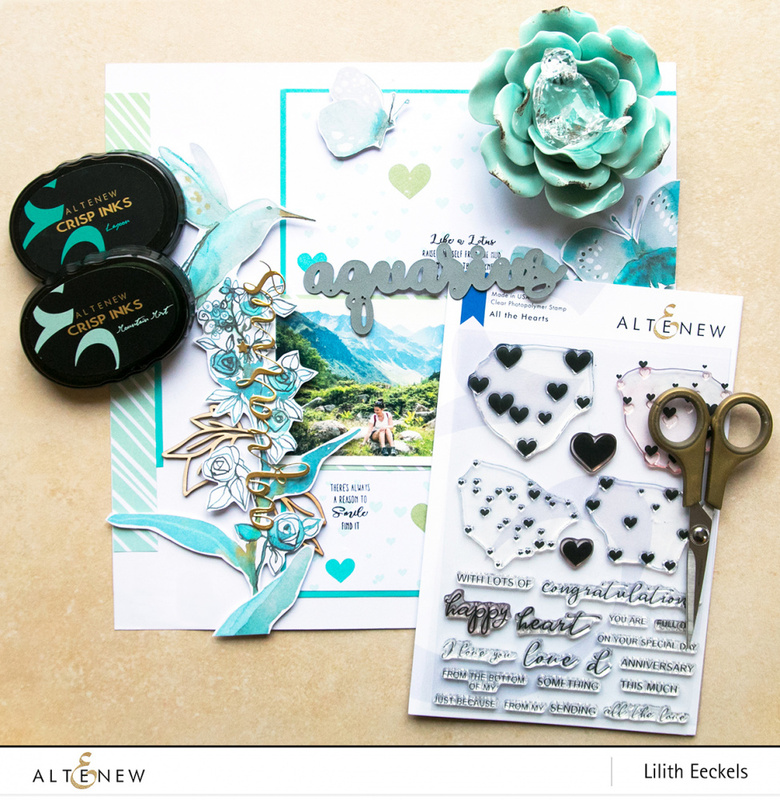 This stamp set includes four heart confetti clusters that you can use on their own or combine together into a large heart. 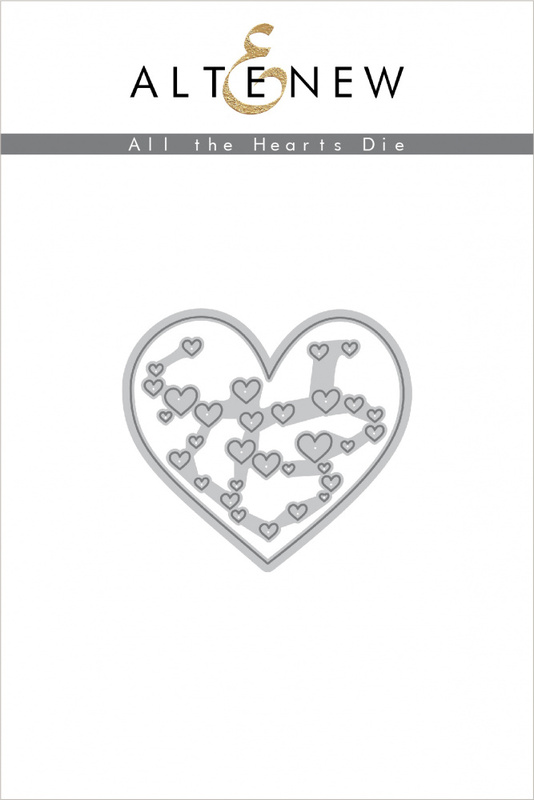 There are also a couple of single heart images for finishing touches on your projects. 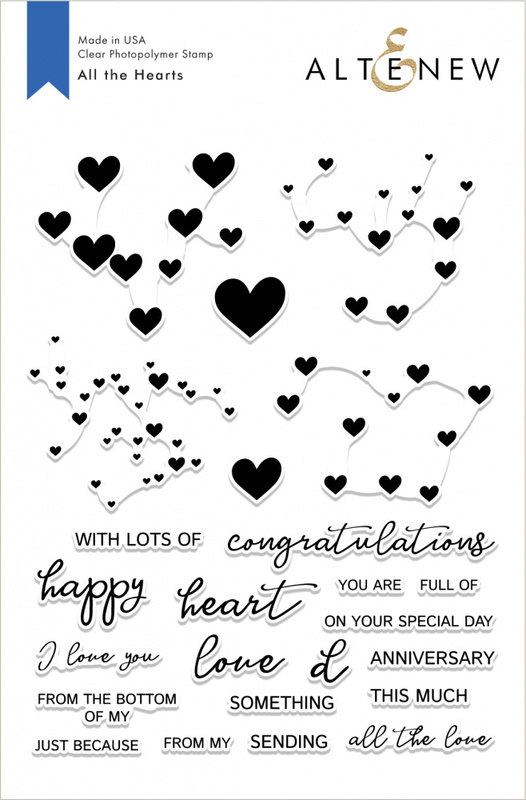 To go with the lovely hearts, this set includes a variety of heartfelt sentiments that you can combine into unique messages that can work for many occasions. This is a 6" x 8" clear stamp set containing 24 stamps made in the USA from high-quality photopolymer.